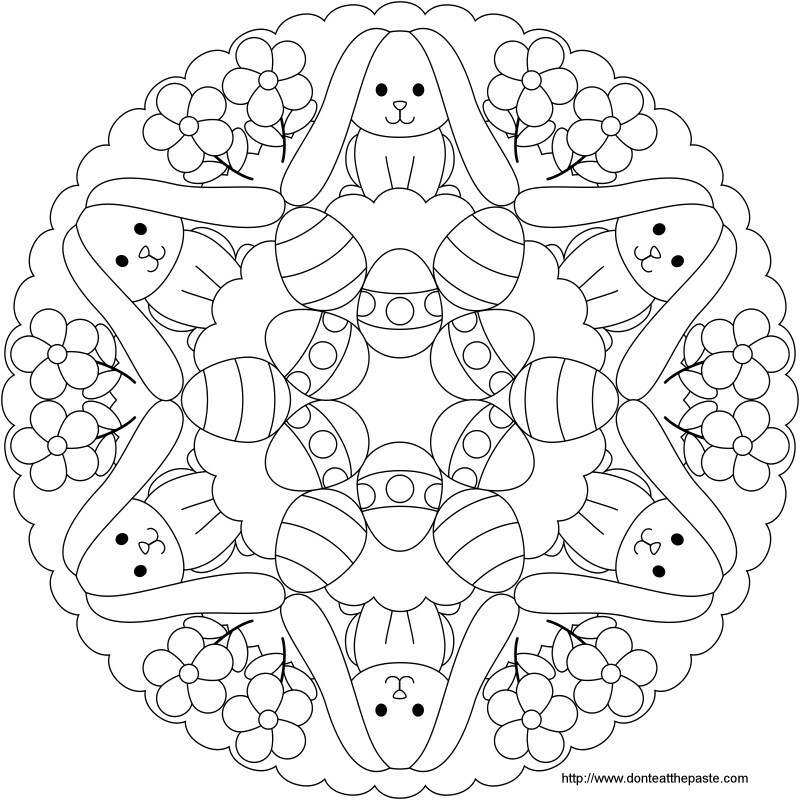 This mandala is in both 100 dpi JPG format and my standard high res transparent PNG format. 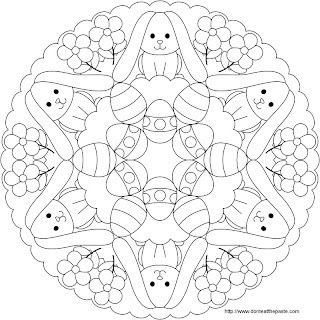 If there are past mandalas to color you would like in 100 JPG format, leave a comment on that blog entry. 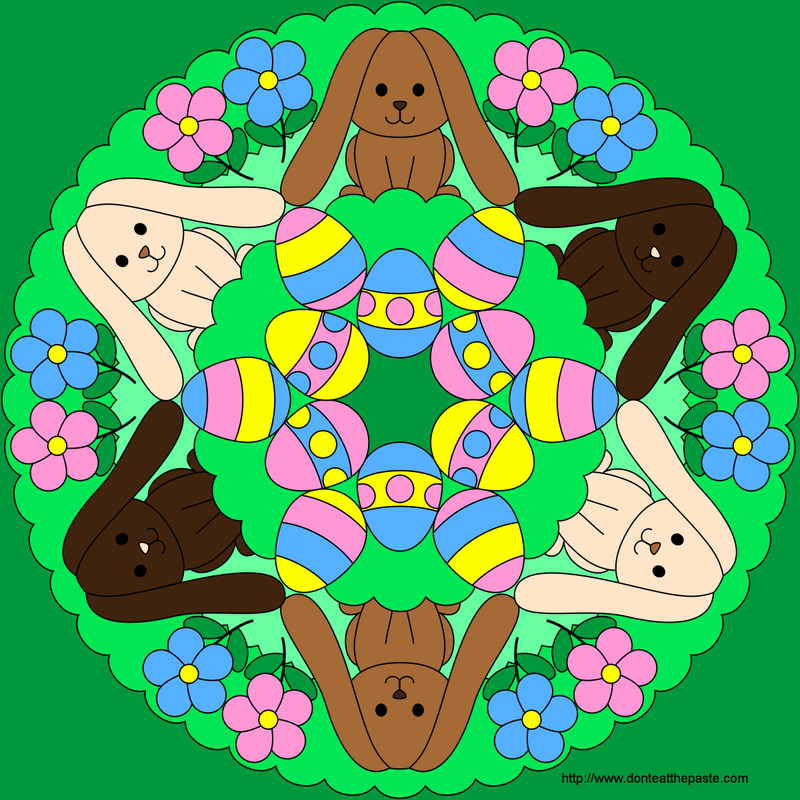 Click on the images for larger versions to color, and I hope you enjoy this mandala! I have lots of Easter projects, including boxes to color and lots and lots of bunnies. 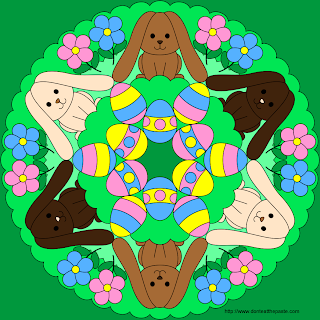 Check out my Easter printables and projects. I also have one bunny themed fabric for sale at Spoonflower.